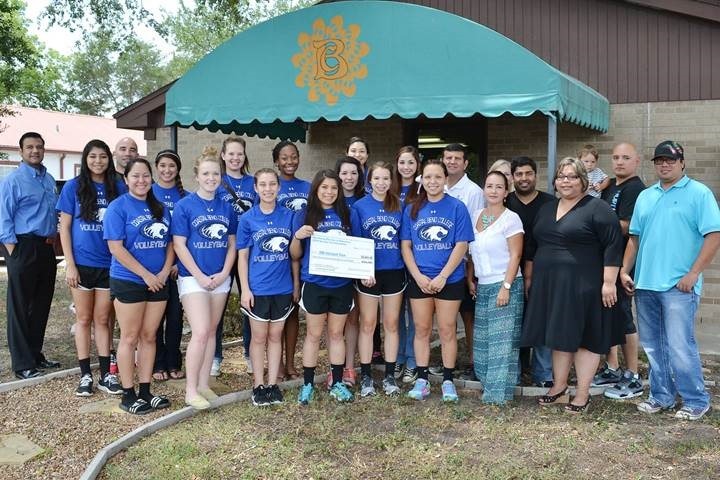 Photo Cutline: The Bee County Chamber of Commerce’s 2013 Summer Fest Committee presented the Coastal Bend College women’s volleyball team with a $3,655.30 donation on August 21. The monies were proceeds raised from this year’s Summer Fest where the CBC volleyball team volunteered their time and efforts to assist with the event. For more information on the CBC Athletics Program, please contact Estevan Vasquez, Athletic Director, at (361) 354-2721 or via email at jevasquez@coastalbend.edu.